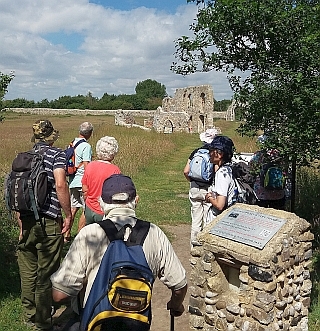 Sizewell Hall’s Walking Break is a time to walk, spend time with God, relax and make new friends. Tuesday 16th to Friday 19th July 2019. Just confirmed- the speaker this year will be Peter Warnock. Officially the midweek break starts Tuesday evening and finishes after breakfast on Friday. Each day includes sessions around God’s Word and worship and walks. One day the walk is from Sizewell Hall and around the surrounding area. The other day the walk is a short drive away in one of the other areas of outstanding beauty. Upon returning to Sizewell Hall after the walk there is plenty of time to relax, before the evening meal. Where you can chat with old friends and new make new ones – or even take time to dip in the sea! The day finishes with a time around God’s Word and Worship. If you love being outdoors, walking, making new friends, catching up with old friends, having fun and fellowship then maybe consider joining us for this time together. You will not be disappointed. It is also suitable for any walking ability. We would love you to join us and we know that you will have a really special time.